Just want to add that all those that descibed this place as friendly must love a good punch-up!! Went there 3 times, twice there was a mass brawl! One of those fights the guy had to be taken away in an ambulence. Always hostile atmosphere! Maybe they just made me feel unwelcome as I can speak in full sentances and not just a series of grunts!! Would say I was glad to see the back of it, but unfortunately all the neanderthals that used to frequent the Sussex have spread out amongst the towns other pubs! 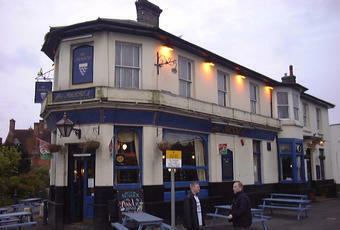 This pub has been knocked down and flats are to be built on the site. It was a land mark when heading in to Haywards Heath since the victorian age. However I get the impression that in Haywards Heath, the older the building, the more reason to knock it down. They don't seem to like keeping historical buildings in Haywards Heath and I live here. I saw my brother play there a few times and it seemed to get a lot of people when ever they played but I think flats make more momeny than pub takings. This pub is now dead! It's closed and boarded up.